Voicing concern over the “devastating” drug addiction menace, Prime Minister Narendra Modi has said society as well as the government will have to work together to fight this problem and that a helpline would be set up soon to assist those seeking solutions. 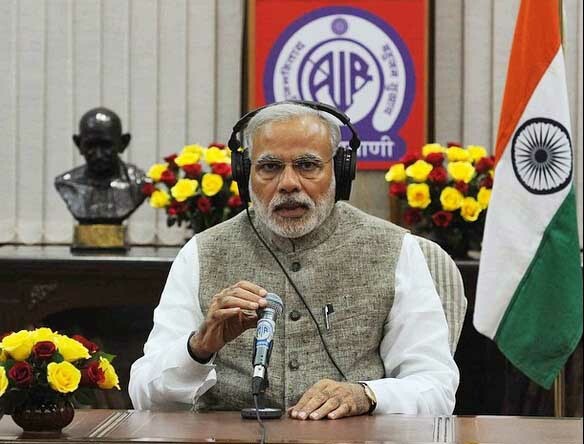 In his third ‘Mann Ki Baat’ programme on radio on Sunday, he said the menace is a “national pain” but instead of the youth mired in the problem, drugs should be shunned. He said drug addiction is “a malaise filled 3D — darkness, destruction and devastation — as it leads to the dark alleys of destruction and devastation”. The Prime Minister said a thinking process should begin to ensure that the country is rid of this problem and added that he will try to involve celebrities from the cine world, sports and other fields to campaign for a “drug-free India”. “For long, I have been having concern about the young generation…That some son has got caught in such a quagmire where everything is devastated. Drugs are such a devastation,” Modi said in his broadcast to the nation. At the same time, he said, “drug addiction is bad, not the child.” Describing it as a psycho-socio-medical problem, he said the family, friends, society, government and the law will have to work together to fight it as working in pieces will not help. He said he had asked his officials to set up a toll free helpline soon to assist those seeking answers to the problem. The Prime Minister also suggested launching a special drive on social media against the menace.